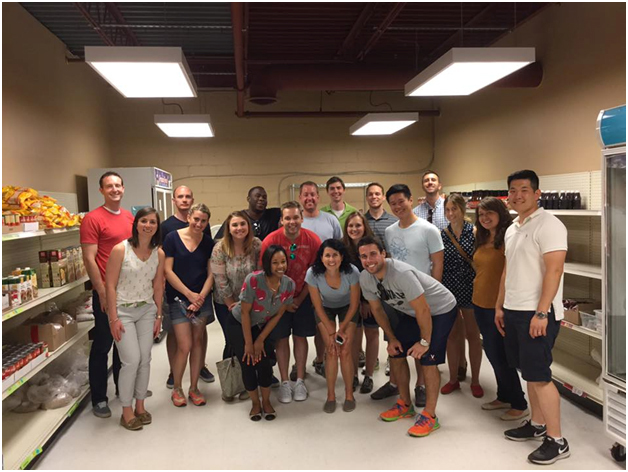 Volunteers at STEP are critical to strengthening STEP’s services to St. Louis Park families and to cultivating a community that supports STEP’s work and mission. 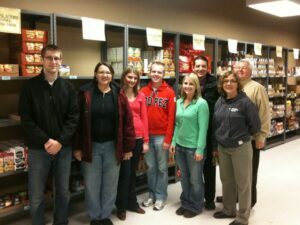 Through the hard work of volunteers, STEP is able to provide for the basic needs of St. Louis Park families. This is an overview of the guidelines and process for a group to volunteer at STEP. Groups are encouraged to collect food and monetary donations ahead of time and bring these donations with them at the time of volunteering. Group Size: The maximum number is 12; minimum number is 5 (these numbers include both adults & children). Volunteer Age: All volunteers under 15 must be accompanied by an adult; groups of young people under 15 must have a ratio of 1 adult to 4 children; groups of children under 8 may require additional adults. 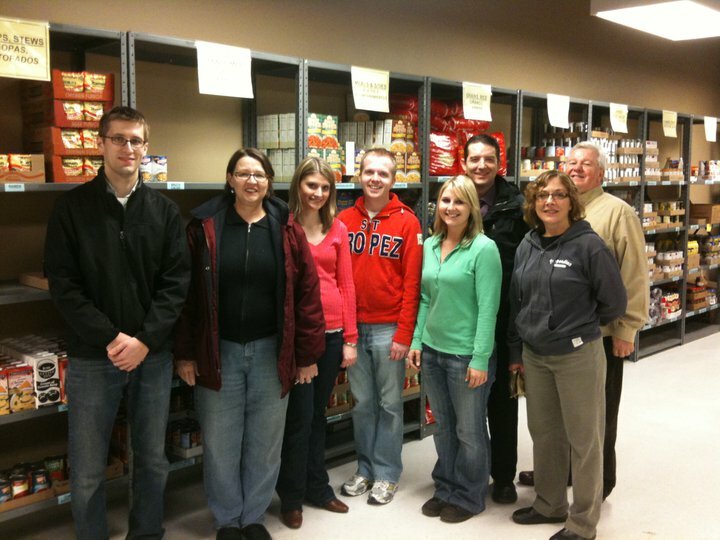 Volunteer Tasks: Volunteer groups primarily assist in the Food Shelf or Clothes Closet; volunteer groups can share their preference for their volunteer area but must be flexible based on STEP’s needs. All volunteer shifts require some general cleaning and housekeeping activities in each particular area at the close of the shift. Volunteer Shifts: Typically a shift lasts 1 ½ hours; shifts can occur during weekday daytime and evening hours. Applications are accepted on an on-going basis. Groups must submit both the VOLUNTEER GROUP APPLICATION and the VOLUNTEER GROUP EXPECTATIONS form to be considered. Please download the PDFs, fill them out, save them and attach them in an email to Mari-Claire Dart, Volunteer Coordinator at Mari@stepslp.org You may also print them and send them to Maryanne Abeid at our STEP mailing address. STEP schedules groups one month in advance. Completed applications will be reviewed by the 5th of each month. Accepted Volunteer Groups will be contacted by the 10th of each month to confirm a shift for the next month. Volunteer Groups can note a preference for an on-going volunteer option on their application—ensuring the option of every other month volunteer shifts when needed. Located in the St. Louis Park community. Current partnership or newly building a partnership with STEP. Inclusion of a food, clothing or fund drive with their volunteer efforts. Fits stated Volunteer Group guidelines. Previous positive volunteer experience at STEP. STEP retains the right to turn down any group request that does not fit within these guidelines or selection criteria. Inappropriate behavior and unwillingness to do tasks assigned during volunteer shifts will lead to future volunteer applications being declined. If you have any questions, please contact STEP’s Volunteer Coordinator, Mari-Claire Dart at Mari@stepslp.org or by phone at 952-925-4899 ext 1800.